When last I was frolicking across the blogging landscape of Growing Up Disney, I spent some time extolling the virtues of Disneyland and attempting to at least explain in some part why when I'm at Disneyland, I feel like I'm at "home". When Amy first approached me about writing for "Growing Up Disney", one of the first questions I asked, of course, was what type of articles she would like to see. Being from Disneyland while the majority of her readers are no doubt Walt Disney World people probably had a lot to do with her response. Although I'm pretty much allowed to write whatever I want, she seemed particularly interested in articles dealing with the history of Disneyland. I'm a History buff by trade, complete with the Bachelor of Science to prove it, so it seemed right up my alley! The thing about being a history major, though, is that aside from random facts which for whatever reason stick out to me, I'm so far removed from earning my degree at this point that much of it has probably gone out of my head never to return. But one thing earning my degree instilled in me and taught me is that although history is a lot of remembering facts and being able to regurgitate them come test-time, history is more and most importantly a frame of mind; a mentality. When I first began going to Disneyland as an Annual Passholder, I was pretty much just like any other "regular Joe" in The Park, and spent much of my time running from popular attraction to popular attraction. 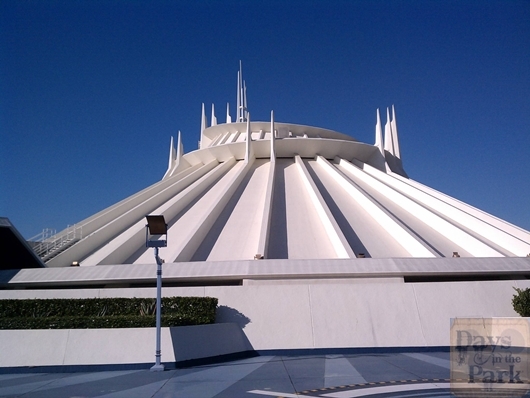 Space Mountain was always a must ride, as was Pirates of the Caribbean, and Splash Mountain. Basically, I rode and did what the cool kids rode and did. That's not to say that those rides aren't still awesome, but they used to be at the top of my list, and they're not anymore. Space Mountain - NOT a "D55"
So what changed? Nothing really, but history changed it for me. When people used to ask me what attractions I would recommend to them if it was their first time inside Disneyland I would, of course, give them the "cool" answer, and tell them to ride all of the thrill rides. Silly Chad. As time has gone on, however, my answer now is nowhere near what it was then. If asked today which attractions I recommend for a first-timer at Disneyland, without question, I would say that people need to see/ride/experience what I've lovingly begun calling "The D55s". Simply put, "The D55s" are those attractions at Disneyland that are original to Disneyland; meaning they have been there, in some form or another (though many have obviously been refurbished and what-not during the last 56 years), since the very day that Disneyland opened to the public. Hopefully it's obvious to everyone just how history ties into that. Although many amazing attractions have opened at Disneyland since its inception, and many more were worked on by Walt himself, the ones I recommend the most are the ones that have been there since the very day that Disneyland opened to the general public. Many might disagree, but to me, these have the most historical significance of all that are in The Park, and as such, deserve much respect and in many cases, are just plain fun to experience! 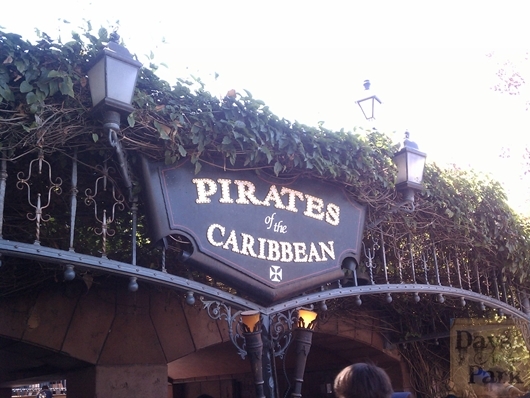 Pirates of the Caribbean - Worked on by Walt himself, but NOT a "D55"
Jungle Cruise - So THAT'S what a "D55" looks like! So, there you have it; my list of "D55s" that must be experienced if you're new to Disneyland and all that it has to offer. Since I have become such a big proponent of Disneyland history, and how important that should be in each person's experience of The Park, I highly recommend everyone begin just there, at the beginning. Disneyland is about much more than the sum of all of its parts, and I think that when people begin to realize that, and begin to open themselves up to the fact that Disneyland is about much more than being just another "amusement park", then the magic can really begin. Looking over the list myself is genuinely quite amusing, because many of them would be considered the "kiddie" rides of Disneyland, and in fact, I hear that quite a lot. It just comes with the territory. And even I have to admit that the list is pretty Fantasyland-heavy. But truth be told, you're never too old, or too adult, to be a kid again. And even today, I'm not too old, or too adult (though I may genuinely look funny doing it) to strap myself into Dumbo the Flying Elephant, and take a whirl around the sky with my magic feather. People may look at me a bit oddly, but ultimately who cares? If being a party of history is wrong, I don't want to be right. I agree, for me those thrill rides are the ones I think of when planning my visit to the Parks. I eagerly anticipate racing down the Matterhorn, or Splash Mountain and Big Thunder Mountain. But the rides that have the longest history at Disneyland, are also the rides you think of, when you look back, and remember your childhood visits. I still love those "D55" attractions, but wish they had a little more room for the queue, that would make it easier for me to think about getting into those lines and wait my turn to ride, just like I did as a kid. But when I look at the lines at Peter Pan, I think maybe tomorrow will be better. Thank you Chad! I can't wait to visit these attractions! I'll get out there someday.